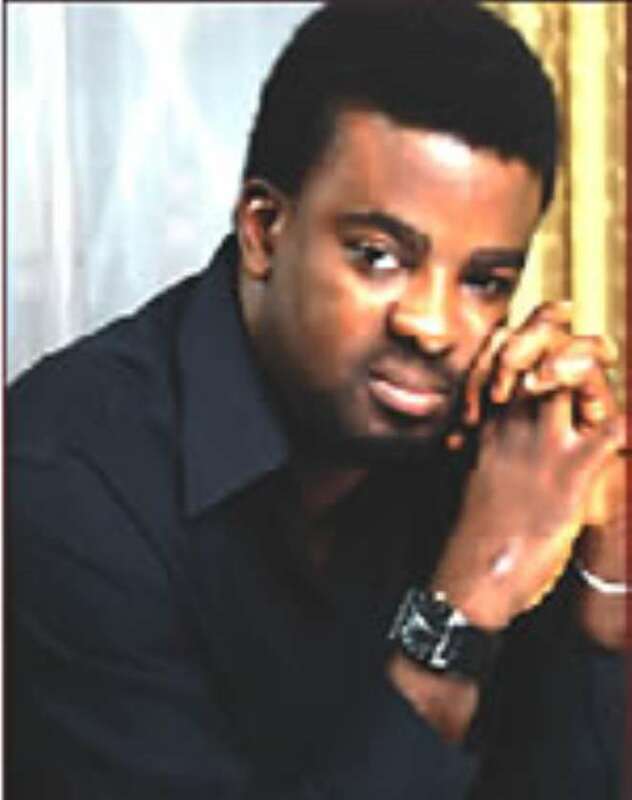 Even though he has been in the movie industry for over 10 years, Kunle Afolayan, son of the late Ade Afolayan a.k.a Adelove, would readily attest to the fact that since the release of his latest work, Irapada (Redemption), he has gained a monstrous popularity which supercedes what he had garnered over the years. The former banker who traded the corporate world for the entertainment industry is surely living it big with his success story, all thanks to this ground-breaking movie. When http://nollywoodgists.com met with Afolayan in his Golden Effects office, off Allen Avenue, Ikeja, he talked passionately about his movie and the future of movies in the country. Indeed, Afolayan is not just another Nollywood movie maker. In fact, he studied digital film-making at the New York Film Academy, America. “I proceeded to the film school to learn the basics of the profession because I wanted to major in film making,” he told the The Source. According to him, it took years before he later took a decision concerning what he really wanted to do. “My parents thought I was crazy but I knew I couldn't continue because both jobs are demanding.” he said. After all said and done, when he completed his studies abroad, Afolayan came back home and established his own outfit. He talks passionately about his many dreams, part of which is releasing top movies that can stand on the same shelf with foreign movies. Youthful Kunle Afolayan attended African Salon Primary School, Ebute-Metta, had his secondary education at Denton Grammar School, Lagos and Government Secondary School, Agbamu, Kwara State before he proceeded to the Lagos State Polytechnic. He resigned his appointment in the bank in 2005. You suddenly became one of the toasts of Nollywood, courtesy of your movie, Irapada. Tell me about the making of this great flick. So many things have been said about this movie but I think it is just a fortunate movie, in the sense that when we wanted to do it, we had a mindset and we worked towards achieving something entirely different from what we have in the system, Thank God, it has really worked for us. I say fortunate also because not only have the viewers received it with open arms, the media also and critics have accepted it because it's just different. It got me thinking that whatever is worth doing at all, is worth doing well. Irapada to me has revolutionsed the industry in a way. So what is that secret ingredient Irapada has that other movies can't boast of? From the theme to the technical aspect to the style of story-telling, the language usage, is different. It's not about if it is an English, Yourba or Igbo movie. Irapada is purely a Nigerian movie because it has all the Nigerian major languages. It is because of who we are and the way we relate in the true sense. We wanted to do something that will not only be peculiar to one's race but to the entire nation, something that will attract an average movie lover. I think that's one of the things that contributed to the acceptance of the movie. I believe some people still haven't seen this movie. In a nutshell, therefore, what is it all about? It's about a young man named, Dewunmi, who is a Yoruba man but lives in the Northern part of the country; he had an unannounced visitation from his mum who tried to convince him to come back home to carry out some sacrifices, like a redemption on behalf of the family because she was already having nightmares. Prompted by this constant nightmares, she had gone to see an interpreter who told her that there was need for the person in the picture to be around for the cleansing to take place. She travelled to the North to tell her son. But Dewunmi being an educated person turned a deaf ear to her, by deciding not to partake in such activity. Unfortunately, the mother died on her way back home. A whole lot of stuff then took place. So.. Some of your fans are saying it is a true life story. How true is this? I need to make this very clear here. It's not a true life story, it's fiction. Are you the author of the story? Not really, but I contributed to it. Actually, someone wrote the script but I changed it to what I felt would be appealing to the people. That was one other reason I really wanted to do the movie because it is one with lessons for all. I felt I could only get it through to the people only if it is well told in a movie format. Yes, it was given an award as the best indigenous movie at the Africa Movies Academy Awards. Also, at the Zuma Films Festival, it was given the Best Yoruba film award though it is not a Yoruba Film. Thankfully, the film came with a lot of controversies because a lot of people cannot differentiate whether it's a Yoruba movie or an English movie. When we submitted it for the AMAA awards, the judges were not sure where to put it. So because of that, it was not fairly judged, they didn't know how to place it. When you submitted it, in what category did you place it? I just submitted it. The movie is entitled Irapada (Redemption), but when you watch it you'll find out that its more of an English film because English spoken was about 60 per cent and the rest languages shared the remaining 40 per cent. It's a movie everyone can understand and it was duly subtitled. Don't you think that the title, Irapada automatically places it as a Yoruba movie? Not at all. I am an indigenous person and all I want to sell is our culture. That was why I gave it that title. It would have passed more as an English movie. Many people perceive you as a Yoruba actor. Maybe, that perception spilled into the categorisation of your movie. I am a professional film maker and from what I have learnt, film doesn't have a language. I can do a film in any language and it won't matter if you are known for something. I was so disappointed when AMAA placed me in that category, but I was graceful all the same. We got one nomination and won it. Some got eight and didn't even win anything. My film has gone far and wide. It has gone to International Film Festivals. For my film to have been picked by the Federal Government and other agencies, to attend these festivals, it means that it's the best in the market. For how long was the movie shot? About eight weeks; we shot it in 2007. You call yourself a movie maker, but many would say they rather know you as an actor. How many movies have you shot so far? Irapada was my first feature movie. We have shot many short movies, we did one recently in America with an American producer entitled Triangle of Need. It's not how many movies you make that makes you a good film maker but it's how well and what people think about your work. We are working on our next movie now. I do not know how long it's going to take to shoot, but I know that its something huge. You can't expect anything less. Would this be in English, Yoruba or what? Like I said, it's not about the language. The language would be determined by what I am doing. If I find myself in the north, then they will have to speak Hausa. It all depends on the characterisation. Before movies, you were a banker. At what point in your life did you realise that you had a calling for movies? Well, I was born into a movie family. I never thought I was going to be an actor, let alone a movie maker – well, until 10 years ago. While in the bank, I was in the Corporate Affairs department, which is still part of Entertainment/ Media. I was in the bank doing my thing until I got fed-up and felt I needed to impact more on the movie industry. That was when I resigned. I was not fulfilled as a banker. I enjoyed every bit of time I spent there, but I just couldn't go on. Quite a number. I can't really remember their names well. But I can remember Saworoide, Agogo Weo, Dark Age, Ololufe, et cetera. We have an industry for home videos but not for films. Here in Golden Effects (his company), we want to make films, take it to cinemas. From there we can now release home videos. Americans have created a huge market for the kind of movies they make and its working for them. I think for us to get to the next level, we need to do more in the technical level, especially. We need professionals, trainings, et cetera. Was Irapada shot on celluloid? No. But it was shot on Digital High Definition. Well, some people may say its expensive, but sometimes the more money you invest in a production the more you are likely to get. If you do low quality movies, its not going to go far. If you spend more money, it brings in many more. It's an individual thing. How is Irapada doing in the market? Not so bad and not so good. But thank God we have sponsors.